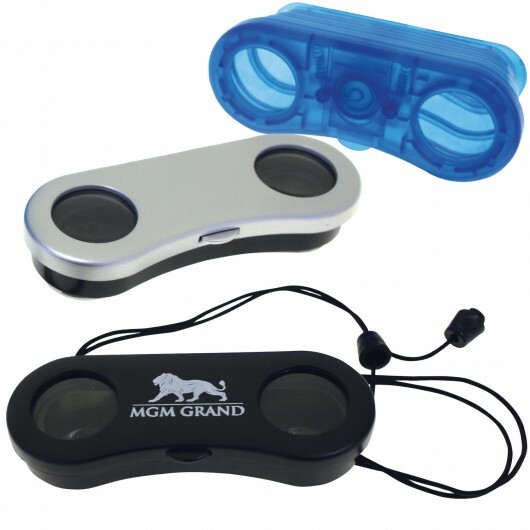 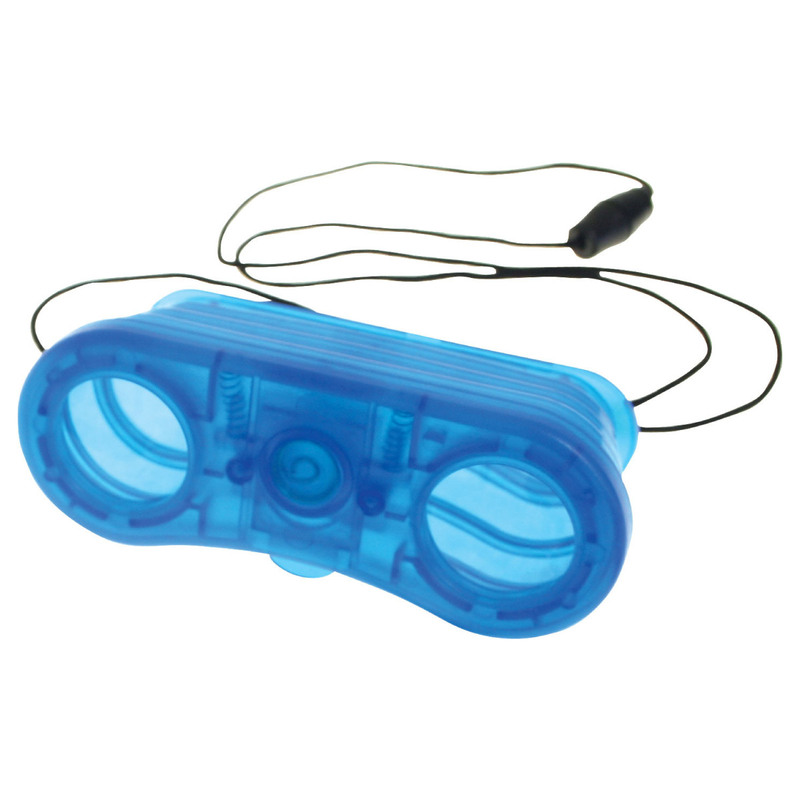 These budget orientated binoculars are a fun and quirky promo item. These pop up binoculars are a fun and quirky way of getting your logo known. They're pocket sized and simple to use so they're great for both kids and adults, for events or as a giveaway item. 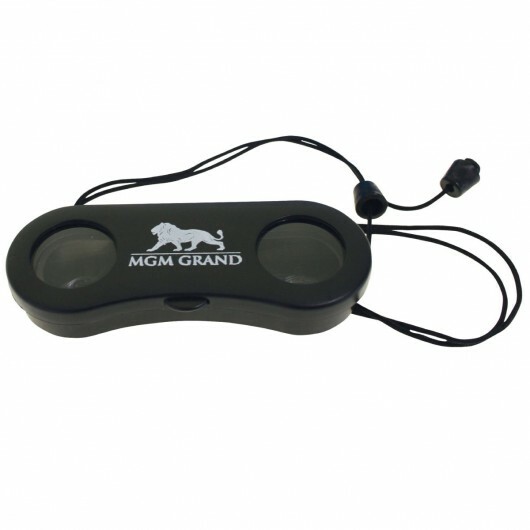 They pop out for use and have acrylic lenses with 5x magnification as well as a neck cord with safety breakaway.